Millions of people, including celebrities, athletes and CEOs have been plagued by constant self-doubt and feelings of unworthiness while at work; or lived in persistent fear of being exposed as a ‘fraud’. 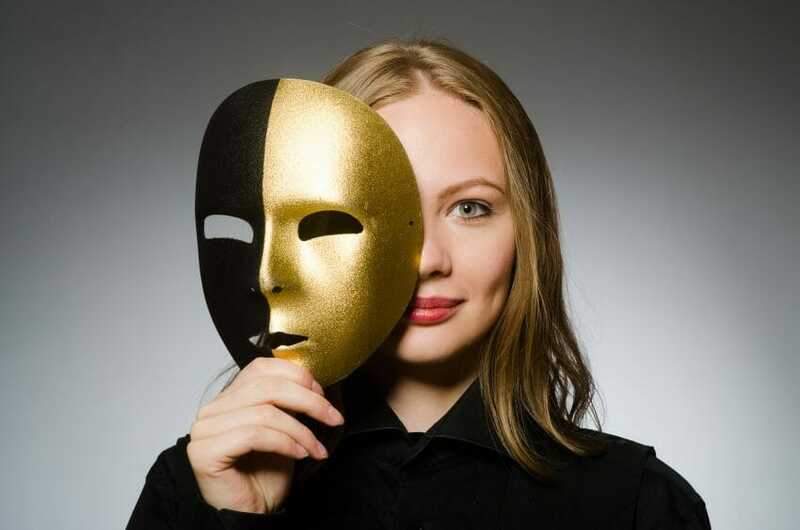 While both men and women experience what is known as Impostor Syndrome, studies show that women are more often affected and thus likely to suffer the consequences. Hollywood star Meryl Streep, Dr Chan, Chief of the World Health Organization, and Nobel Laureate Maya Angelou are all examples of famous people who have expressed inadequacy in their work and hinted about the fear of being found out. Emma Watson, Sheryl Sandberg, Sonia Sotomayor and countless others have admitted to similar sentiments. High achievers, in particular, often doubt themselves and feel undeserving of the recognition they receive. It is then of no surprise, that women tend to question their abilities and feel inferior, all the more because traditionally and culturally that’s what they have been accustomed to their entire life. Often women in positions of power have much less leeway than their male peers over all aspects of their professional persona – appearance, behaviour, judgment and the tenor of their voice among many other areas. With this in mind, it is unsurprising women feel so much pressure when they reach higher roles. In a survey I conducted on 300 women across the globe for my book Her Way To The Top, impostor syndrome was reported as one of the top few challenges holding women back. Be Self-Aware: Recognising and taking stock of your feelings is the first step to addressing impostor syndrome. Self-awareness is vital in effecting change in the way you think and act. The moment you recognise your feelings, you are opening yourself up to exploring different strategies to manage it. Many women are prone to overthinking – at any given time our minds can be occupied with an influx of emotions, concerns and problems bouncing up and down in our head all at once. That’s why it’s a good idea to document your feelings by writing them down and calling them out for what they are. Work Through It With Others: You’ll be surprised by how many others share the same fears as you. By sharing your concerns with like-minded people, you will discover you are not alone. It is this solidarity which will make working through this fear much easier. Seek support from those who identify with your issues and have effectively conquered them. You could even benefit from joining a support or affinity group. Self-Question Limiting Beliefs: A limiting belief is one a person holds true within themselves but is based on incorrect or incomplete conclusions about certain things in life and impostor syndrome is just one example. Human beings have a tendency to jump straight to negative conclusions. It is when these beliefs turn into toxic thought traps that sabotage your own progress that they need direct attention. When faced with a challenging environment, many people often find themselves unable to think clearly, so they seek out advice from others. It is possible others will make the situation worse by passing on their own negativity and stresses onto you. An effective way of working in this environment is to utilise self-questioning. Self-questioning involves scrutinising your beliefs and examining the actions you take as a result of them. Question your limiting belief by questioning the generality, authenticity, impact and context – this will show you that these limiting beliefs are false and you will feel much more empowered to deal with the situation. Own Your Success: Women tend to externalise success by attributing it to factors other than themselves. Impostor Syndrome expert, Valerie Young, recommends creating a list of your achievements and determine what role luck, timing and connections played in realising your success. Write down the specific actions you took to get somewhere. Documenting your successes and the exact steps you took to get there will show you what you achieved wasn’t just luck and you deserve the success you have achieved – opportunity favours those who are most prepared. Remind yourself that you achieved what you did because you did something different – something extra, something you believed in, something that others didn’t do or try. The world needs believers, innovators and doers, someone they can look up to, someone who can inspire them to try even when they are unsure. Avoid Comparison: Never compare other people’s highs to your own personal lows. Remember, these highly successful people were in your place once. It may seem that some people achieve success effortlessly, but, in reality, everyone faces their own unique set of challenges and struggles only they are aware of. Learn to value your own strengths. Once you start respecting your own potential, you will soon realise that you have a lot to offer. Always remember to be respectful of others as you do not know their internal struggles. Reframe How You See Failure: Several women in my survey confessed that the reason they do not try to put themselves forward is because they know that if they don’t try, they won’t fail. I can understand where they are coming from but this limits the opportunities for success. Similarly, if you have been successful a number of times, the responsibility to continue doing well manifests. As a role model and inspiration to others, this is a difficult pill to swallow. Sometimes when you fail, you are motivating and inspiring others to a greater degree. Because then the people you inspire realise that they too stand a chance at success as you are not immune to failure. Moreover, failure is important. It makes you stronger and teaches you much more than success ever could. Reconsider your perception of failure: it is OK to be wrong, to fail, to not know everything. Being wrong or sometimes unknowledgeable doesn’t make you fake or non-deserving of your role, continuous learning is vital in the workplace. Remind yourself that you will learn more as you progress. 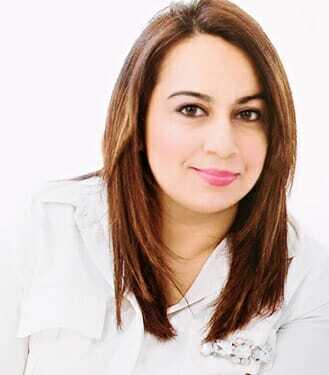 Hira Ali is an author, executive career coach, leadership trainer and keynote speaker. She is Chief Executive Officer at Advancing Your Potential and Founding Director of The Career Excel for Trailblazing Women. She is the author of the new, revolutionary book Her Way To The Top (Panoma Press, £14.99) designed to empower women across the world to work together to overcome barriers towards success.